At Design Display, our artisans are skilled in a variety of design disciplines. Environmental graphic design (EGD) is an unfamiliar term to most, but once explained, it becomes a very familiar body of work to everyone. EGD includes custom interiors, wall murals, way finding signage, donor recognition signage, and the overall practice of shaping a space with design elements. 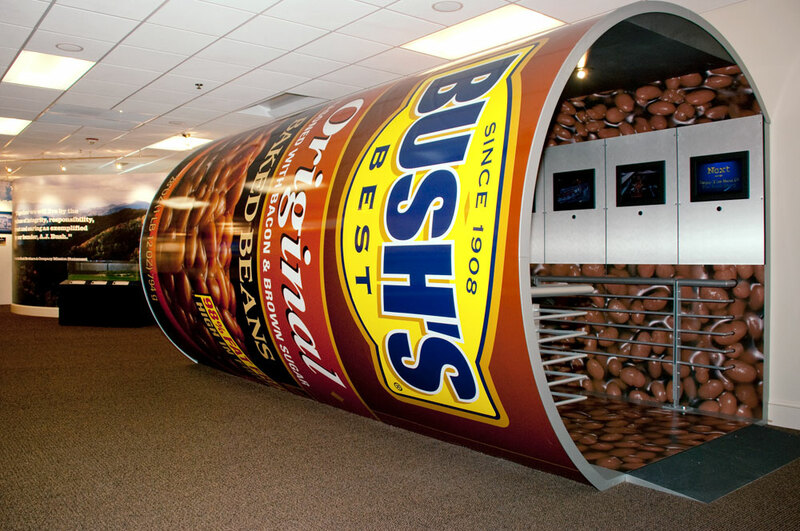 Design Display has worked with numerous businesses developing unique signage and recognition systems for their offices, locker rooms and halls of fame. Regardless of the task, Design Display can bring to life the vision of the client in a way they only imagined. Design Display is a leading producer of portable and custom modular trade show displays. We offer solutions that will fit your design needs and budget. Our experienced designers can create the full spectrum in trade show displays from easy pop-up units to fully custom fabricated exhibits. 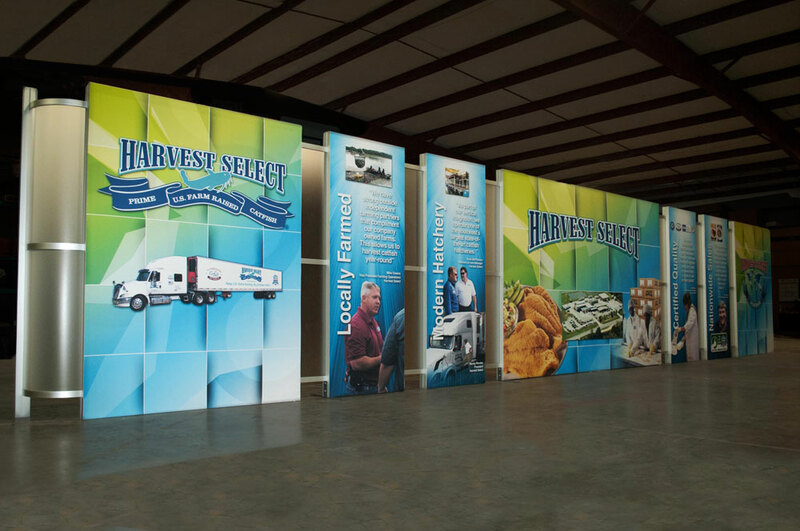 With over 35 years experience, Design Display can deliver a design for your company that communicates your brand in the most creative way and that will keep your visitors talking about your booth long after the event. Museum and Visitor Center design is a complex design discipline and experience is key in order to create a successful project. 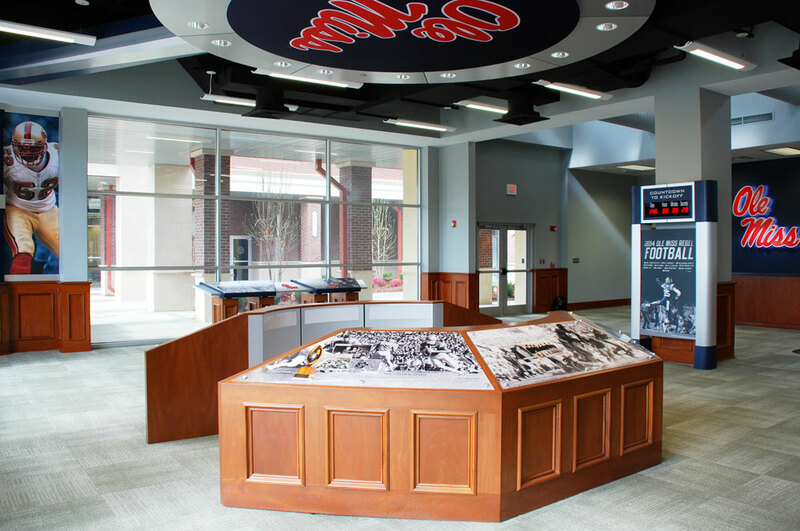 Design Display offers that experience plus a comprehensive list of capabilities that will ensure your project exhibits all the important information in the most effective and appealing way to the public. 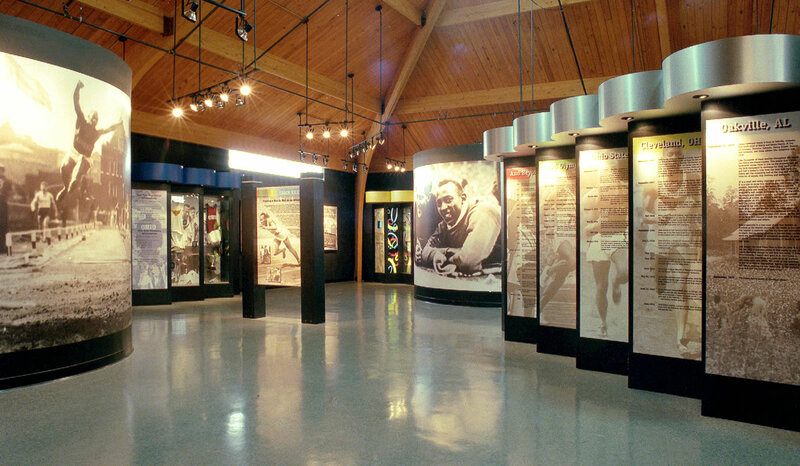 Since projects like this often integrate a wide range of static and interactive displays while incorporating artifacts of all shapes and sizes, we search to find the most meaningful ways to incorporate these elements so they can coexist in their surroundings and offer a seamless experience for the visitor. Our process includes CAD modeling, master planning, research, graphic design, renderings, fabrication, and installation. From start to finish, we guarantee the space is exactly how the client envisions.